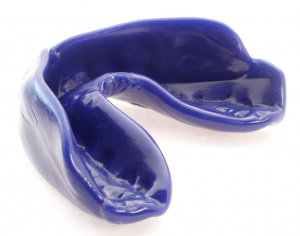 A mouth guard is a custom-made device that will fit only around your mouth. Mouth guards are not readily available under the NHS and are therefore offered as a private treatment but this is a very small price to pay when you take into consideration how much damage could be done when involved in contact sports. Mouth guards will protect your teeth when playing sports such as boxing, American football, hockey, cricket, rugby, and football. 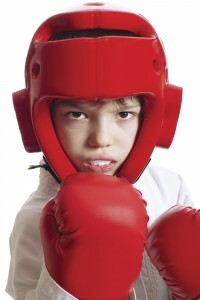 In more serious cases playing any of these sports without a mouth guard can result in a broken or dislocated jaw. 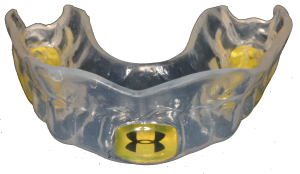 Further details of how mouth guards are made are mentioned below, but be sure to ask about this and prices at your free consultation appointment. An accurate impression is taken of the teeth in our surgery by a dentist. The impression is then sent to the laboratory where the mouthguard is made. They can be made in a variety of colours and styles and the choice is totally your. Have your own special mouthguard made in your team colours! This will be discussed when the impression is taken and the laboratory will be informed of your choice. Mouthguard’s take 7 days from the first appointment to finish; the dentist will then fit the mouth guard and make any adjustments which may be needed. A mouth guard really is a must have when participating in any of these sports. Sportsmen / women should be breaking records not teeth!